Alaska’s elected leaders are pressing the Trump administration to take up the issue of transboundary mining. The renewed push comes ahead of Secretary of State Mike Pompeo’s visit to Canada. Alaska’s congressional delegation and Gov. Bill Walker signed a joint letter urging Washington to hold Canadian mining companies responsible for any downstream impacts in Alaska. “We’re looking to find a way to have legitimate review processes for mines that may be problematic,” says Matt Schuckerow, a spokesman for U.S. Sen. Dan Sullivan. This message is in hopes that Pompeo will bring up the matter at a bilateral meeting he is attending in Ottawa later this month. Alaska’s elected officials made this sort of request to the state department before. A similar letter was written to then-Secretary of State Rex Tillerson last year. “This federal administration has been responsive and I hope they will continue to be,” says Jill Weitz, the director of Salmon Beyond Borders, an advocacy group for protecting watersheds. She applauds Alaska’s representatives for being persistent. Lt. Gov. Byron Mallott and Sen. Sullivan met with Canadian officials last February. They asked the Canadian government to join Alaska in water quality testing in Southeast waters. And the Alaskan officials requested the immediate reclamation of the abandoned Tulsequah Chief that’s leached waste for years into a tributary of the Taku River near Juneau. The diplomatic offensive comes as several mines – large and small – are moving through the permitting stages in B.C. prolific Golden Triangle. The rapid development has fisheries advocates worried over potential impacts downstream in Southeast Alaska. Environmentalists point to the 2014 Mt. Polley mine disaster. 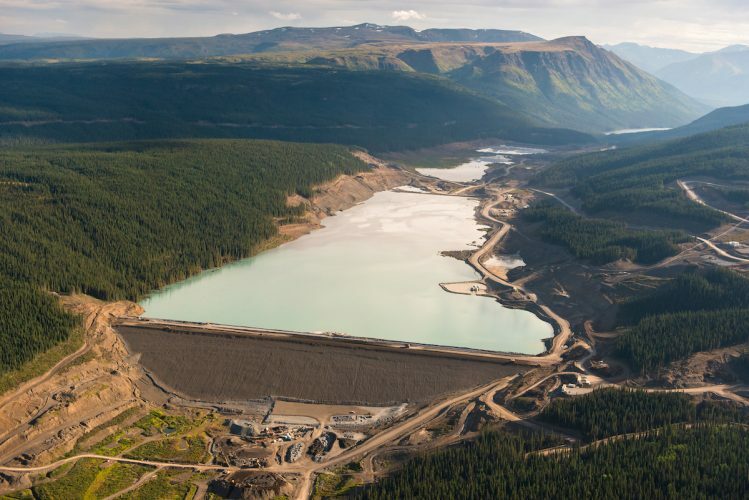 That’s when a tailings dam failed, spilling millions of gallons of mine waste into B.C.’s Fraser River watershed.